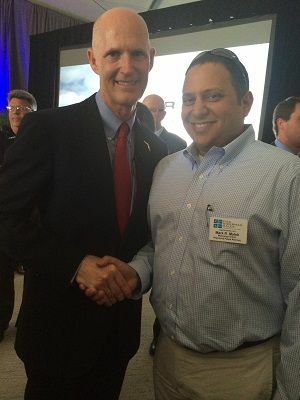 Attorneys Mark Malek, and Dan Pierron had to opportunity to meet with Governor Rick Scott recently during the grand opening of the new facility at the Melbourne International Airport for private jet manufacturer Embraer. 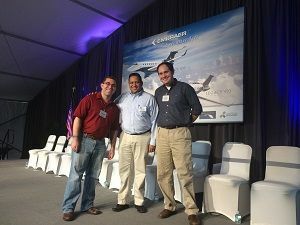 The facility represented yet another investment by Embraer in Melbourne to expand their operations. This expansion would not have been possible without the help of the Governor, the local government officials and the Economic Development Commission.